Gordon Conway will be participating in the 2015 African Green Revolution Forum (AGRF), scheduled to take place in Lusaka, Zambia between 29th September and 2nd October 2015. This year’s AGRF is themed: “Walking the Talk on Youth and Women: Bringing Inclusive Agricultural Markets to Life.” This is both timely and apt, as the continent seeks to make the prosperity inherent in agriculture-as-enterprise more inclusive for women and youth. The design of this year’s AGRF will facilitate greater engagements among leading thinkers and actors, and three key agricultural constituencies: women, youth and domestic private agribusiness. It will aim to come up with a blue print of creating viable agri-enterprises that will not only contribute to reversing our food import bill but will also grow Africa’s economies by double digits. Participation is by invitation only. Please visit the AGRF website for more information. The call to apply for the first cohort of the One Planet Fellowship is now open! Inspired by the @AWARDFellowship Model, the five-year initiative seeks to invest in 600 agricultural scientists through 3 rounds of open competition. 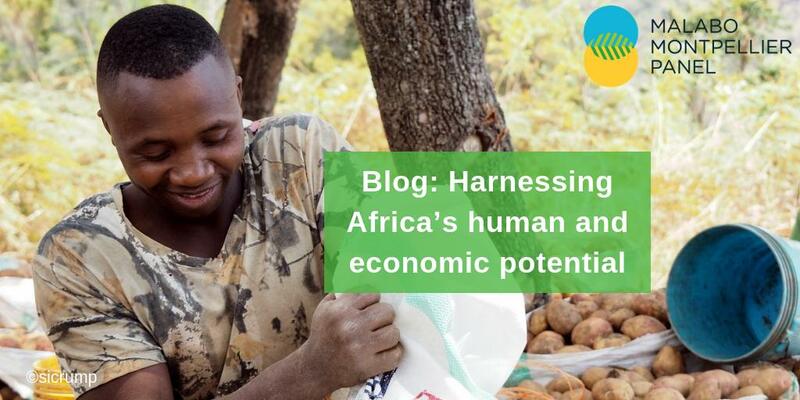 Learn more about @MamoPanel and @AfDB_Group addressing #nutrition, #mechanization and #irrigation challenges to ensure that African agriculture fulfills its potential to achieve #foodsecurity and generate high-value employment opportunities for the continent’s youth. © 2019 Agriculture for Impact.